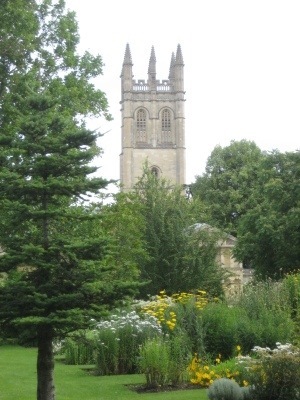 Our final day in Oxford was unusual – warm and sunny and the gardens beckoned. 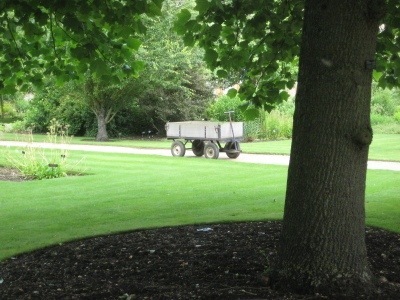 I had been promising myself time in some gardens but the weather has not been conducive. 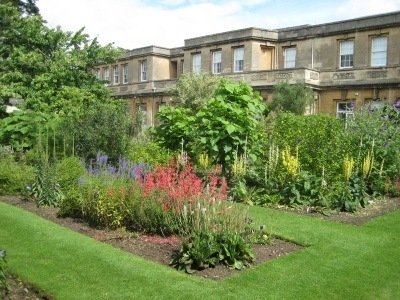 I spent some time in the Royal Botanic Gardens – the oldest botanic gardens in England and savoured the sweet scents of flowers mixed with freshly cut grass – it was like sitting in honey without the stickiness. 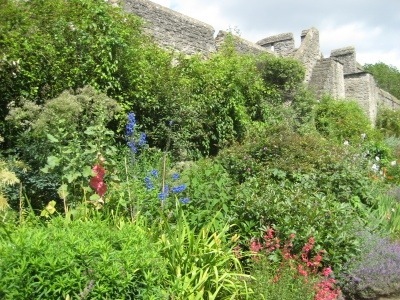 It was a little wild and scraggly – particularly after all the rain and the gardeners were out in force with their lawnmowers and clippers. 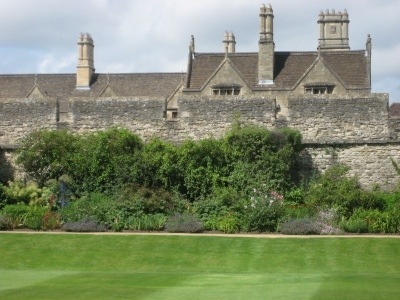 I also visited New College and Edmund Hall. You have to pay to enter each of these places, but well worth the money when the sunshines. Unfortunately, after a while they wreacked havoc with my nose. I will just give you a taste – some of these gardens were past their prime and it has rained and rained but for an Australian used to a browny yellow landscape – the lush green was refreshing. On Wednesday we managed to cram all our stuff back into our suitcases, clean the apartment and catch an early bus to London. At Victoria we changed bus to go to Bury St Edmunds. What an exciting dash it was into London and out, we managed to pass Elephant and Castle, cross the Thames twice and drove past the Gherkin – familiar territory. We also got to see the Olympic stadium and the enormous Westfields that have to be walked through to access the stadium – completely over the top and out of place. We are now in Bury St Edmunds for our next phase. We will be here for over three weeks. 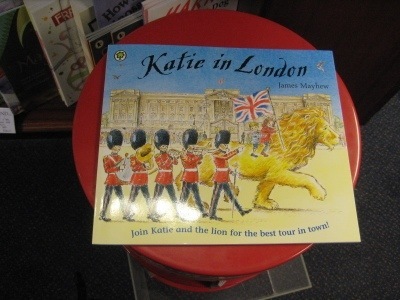 This entry was posted in Books, Children's Books, Gardens, Travelling and tagged Gardens, Katie in London, Oxford. Bookmark the permalink. Ohhh! Enjoy Norfolk. And regarding that book – just remember The Book Depository will ship it here for you for free when you get home!